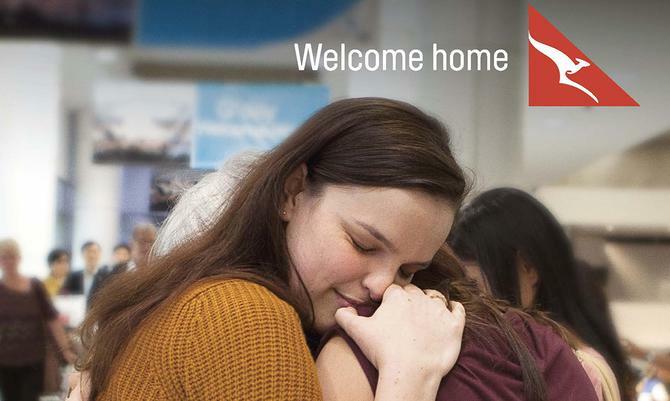 Qantas has taken the wrappers off an emotionally led brand campaign aimed at cementing its role in bringing Australians back home to their loved ones. The ‘Feels like Home’ campaign is aimed at reconnecting Australian audiences with the brand, and stretches across all channels. It comes after a year of restructuring and job cuts off the back of severe financial losses at the airline, along with significant competition from Virgin Australia domestically. Tourism Australia also recently announced an expanded partnership with Virgin Australia in 2015, making it the largest airline partner for the national tourism body. The ‘Feels like Home’ campaign is built around telling the story of five Australian travellers returning home. The airline has created five 60-second videos, each of which shares one of the five homecoming stories from Pilbara, Western Australia, Hong Kong, London, Los Angeles and Santiago, Chile. It has also created a two-minute extended clip showcasing all five stories. Qantas has opted to drop its longstanding musical tune of choice, I still Call Australia Home, in favour of a new version of Randy Newman’s song, Feels like Home, sung by Australian singer, Martha Marlow. The brand campaign encompasses TV, print, outdoor advertising, cinema and online advertising. Qantas said content will also be utilised across other customer interactions including social media, Frequent Flyer member newsletters, while the music will also be played on-board flights. The advertising program launches from this weekend and was the brainchild of Neil Lawrence and Lawrence Creative Strategy. Qantas Group CEO, Alan Joyce, said the brand campaign overhaul was about reinforcing Qantas’ position bringing Australians home from all over the world. “The stories we’re telling through this campaign are repeated everyday across our network. They reflect the special pull of home, the love of family and friends, and the way Qantas helps bring Australians together around the country and around the globe,” he said. Filming took place in Hong Kong, LA, London, Santiago/Valparaiso, Pilbara, Sydney and the NSW south coast.